Did you know that there are an estimated 97,000 personnel employed by 911 systems or agencies? Additionally, there are over 240 million 911 calls each year requesting emergency medical service and police 911 services! Could you imagine handling this amount of 911 call volume? Whether you refer to your emergency telecommunications operators as a dispatcher, a 911 call operator, a system communication operator, or a Police 911 dispatcher the demand for quality system communication is the same. In most cases the telecommunications operator is the only lifeline to critical police 911, fire, or emergency medical service response! To make sure that 911 systems communications are handled effectively, OSS developed dispatch software policies for emergency communications center operations which support law enforcement, sheriff, police, fire and rescue emergency responders. Whether the telecommunicators job is providing constant telephone communication, telephone triage, system communication, emergency communications, emergency medical service, or rescue or critical police 911 calls, dispatcher jobs are one of the most critical and difficult tasks in any emergency communications situation. 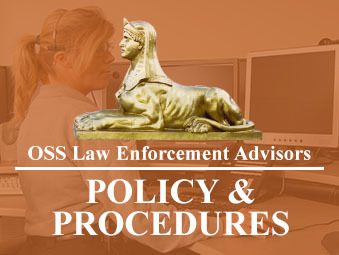 OSS Law Enforcement Advisors® Communications Center Policy & Procedures manuals have been continuously updated for over 20+ years. With thousands of users, OSS has established a nationwide following with 110+ policies covering topics such as: Officer Needs Assistance, Media Relations, Medical Assistance, Telephone Procedures, Kidnapping and more. [Listing of Communication Center Policies]. OSS Communications Center Policy & Procedures Manuals incorporate industry best practices. 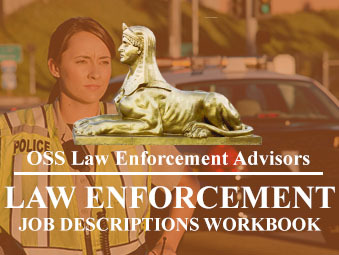 For example, several state agencies and law enforcement associations have contracted with OSS to develop specific client-branded policy sets – to name a few, the states of Arkansas, Mississippi, Texas, Ohio, Kansas, and more. OSS Communications Center Policy Manuals contain the latest risk management practices, are regularly updated, simple to understand, straightforward, easily adapted and rooted in law. OSS Communications Center Policy & Procedures Manuals are provided direct from our secure servers in one simple downloadable file. Each individual policy is in Microsoft Word, and formatted so there truly are no limitations to agency-specific modifications. Each policy manual and individual policy may be edited, graphically enhanced, reserved for future use, added to, or even deleted. 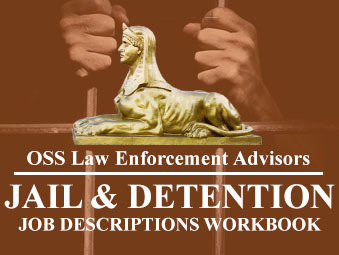 Through OSS Academy®, we provide 130+ law enforcement, jail, and telecommunications courses online. OSS Academy® courses are recognized by more Peace Officer Standards and Training boards and correctional associations than any other online training provider. For more information, Contact OSS Academy®. Cost: OSS Communications Center Policies & Procedures manual is only $1,240. Defensible: OSS Communications Center Policies & Procedures contain the latest risk management practices, regularly updated, simple to understand, straightforward, easily adapted and rooted in law.